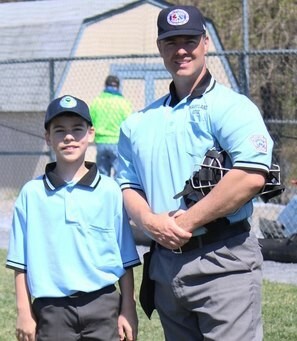 As part of Four County Little League's continuing commitment to preparing our youth for the future, Four County LL created the Junior Umpire program in 2012. Players who have reached the level of Majors play may umpire with an adult and earn school community service learning hours. The experience gives your player a better understanding of how difficult it can be to make those split second decisions. Just like our adult umpires, the junior umpires are not paid. If your player would like to learn more about the program and what it entails, please contact the FCLL Umpire in Chief at umpire@fcllbaseball.org.